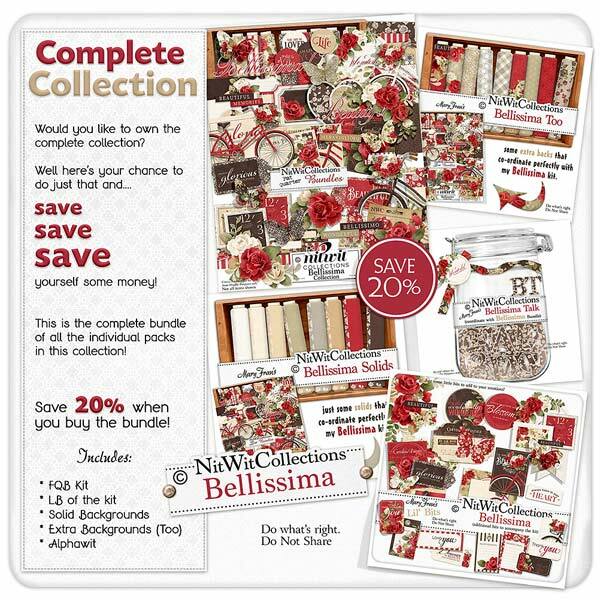 "Bellissima" Collection draws you in with its romantic and cottage chic appeal. The gorgeous red roses, the bicycle, butterflies and the journal cards all bring you to a feeling of conveyed love and elegance. When you add in the striking contrast of colours and the thoughtful background papers, you know that creating with this kit will be easy and produce stunning scrapbook layouts, cards and mini albums. Let your mind dream and take you to a place of romance and creativity will positively flow.